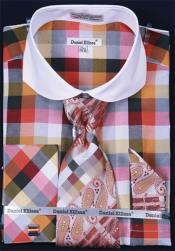 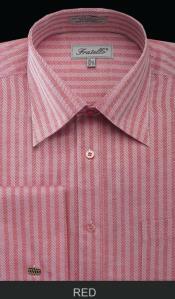 When it comes to dress shirts for men, you find quite a range of variety in them with respect to style and design. 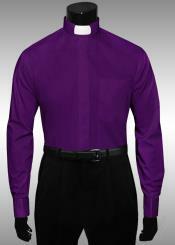 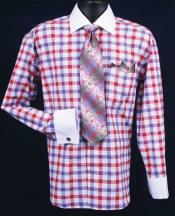 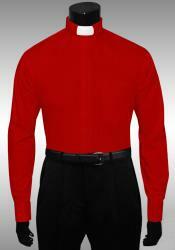 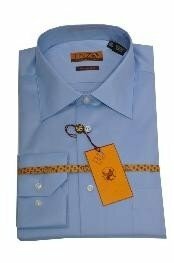 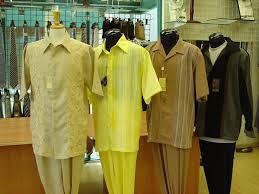 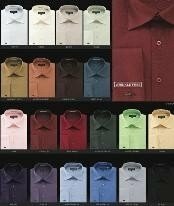 Casual dress shirts for men come in full sleeves as well as half sleeves in bright and vibrant colors. 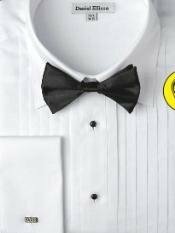 Formal dress shirts for men are more of businesses wear options in subtle colors that match well with suits, tuxedos, blazers and sport coats. 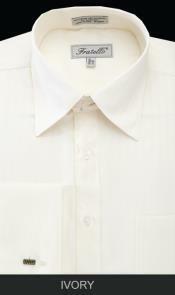 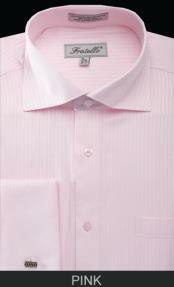 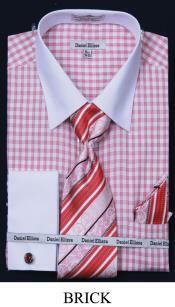 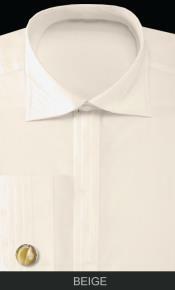 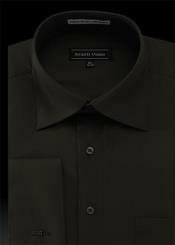 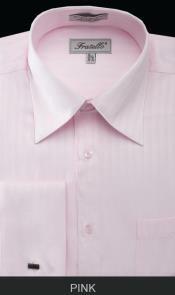 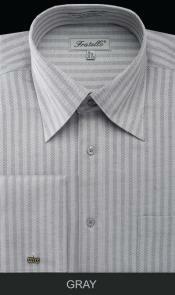 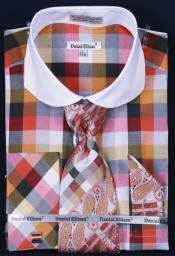 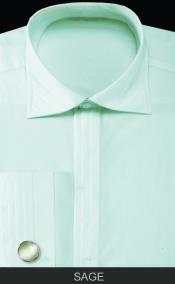 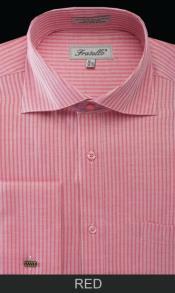 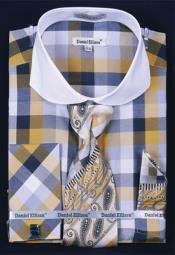 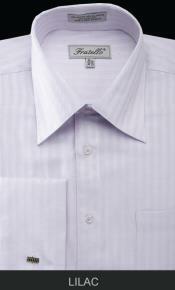 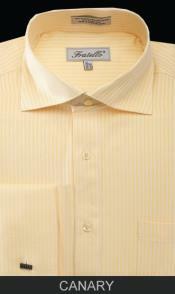 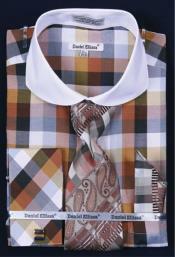 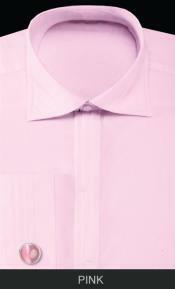 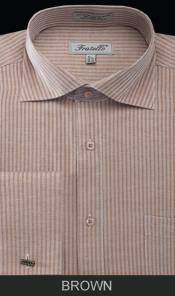 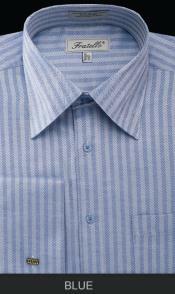 Men's French cuff dress shirts are highly popular for regular formal business wear. 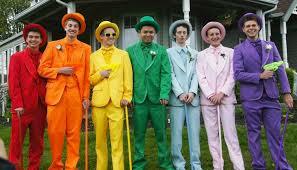 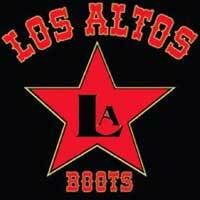 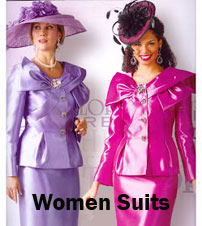 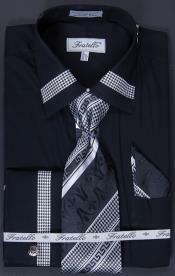 When it comes to tuxedo dress shirts, you will find tuxedo pleated dress shirts and French cuff dress shirts for men. 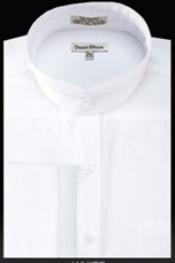 These French cuff dress shirts come with a different colored cuff and color, mostly white being the choice of the cuff color. 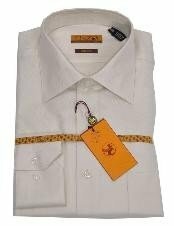 You can wear these French cuff dress shirts for men either as a formal business shirt, or pair them up with your suit jacket or tuxedo jacket. 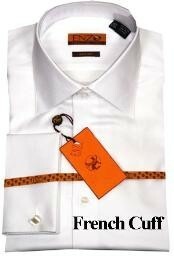 French cuff dress shirts are a part of every man's wardrobe. 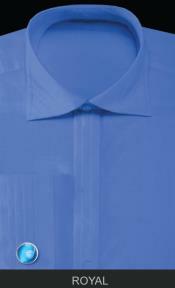 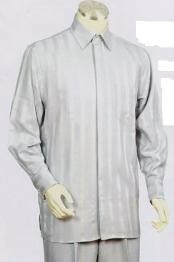 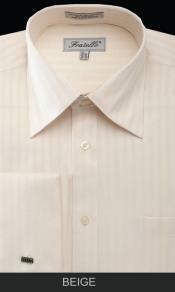 French cuff dress shirts for men come in different fabrics like cotton, linen, polyester, and poly~rayon. 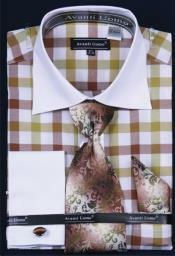 In addition to different fabric options, you will also find different print patterns in these French cuff dress shirts. 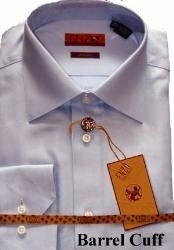 Men's French cuff dress shirts allow you to style them with adorable cuff links as a classic accessory. 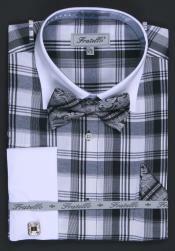 You may either choose to wear these French cuff dress shirts for men independently with matching dress pants or you may pair these French cuff dress shirts with a suit or men's tuxedo jacket. 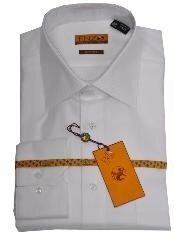 French cuff dress shirts for men often come with white colored cuffs and collars to be able to differentiate themselves as French cuff dress shirts mens. 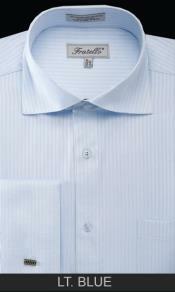 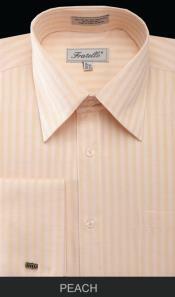 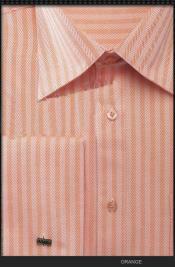 You will find mens dress shirts with contrasting cuffs that look stylish and classic. 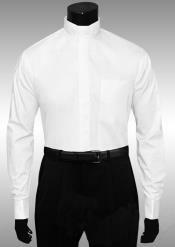 Mens contrast collar and cuff shirts come in a number of options like black dress shirt with white collar and cuffs, different colored dress shirt with white collar and cuffs, pink dress shirt with white collar and cuffs, yellow French cuff dress shirt, lavender French cuff dress shirt, black French cuff dress shirt, black with white French cuff shirt, white French cuff dress shirt and so on. 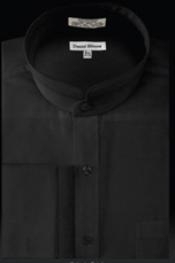 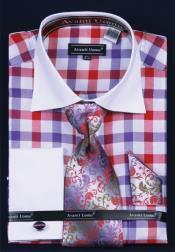 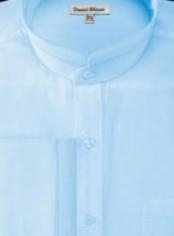 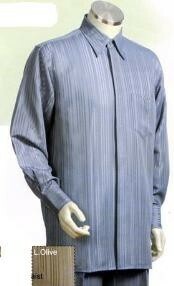 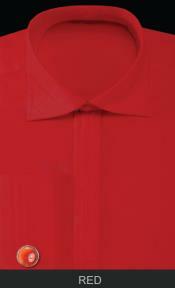 Mensusa stocks wide range of options in French dress shirt sets. 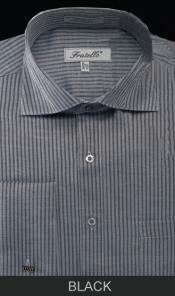 We offer different fit options as well in these dress shirts like slim fit French cuff shirts, mens French cuff dress shirts regular fit and modern fit French cuff dress shirts. 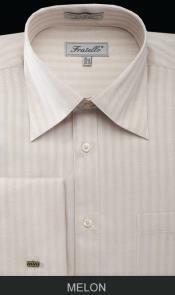 Our mens French cuff dress shirts are offered at a discount during sale seasons; hence you can make an affordable buy when you pick a French cuff dress shirt from our sale season. 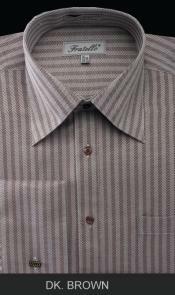 This is a dedicated category selling printed dress shirts, French cuff dress shirts in various fabrics, different fit options available in all men's sizes. 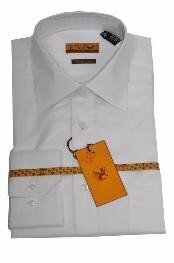 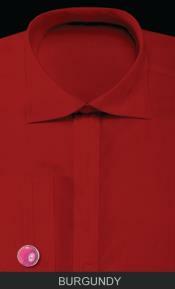 Simply log on to www.mensusa.com and browse for classic options in designer French cuff dress shirts for men and pick the best one at cheap and affordable prices.